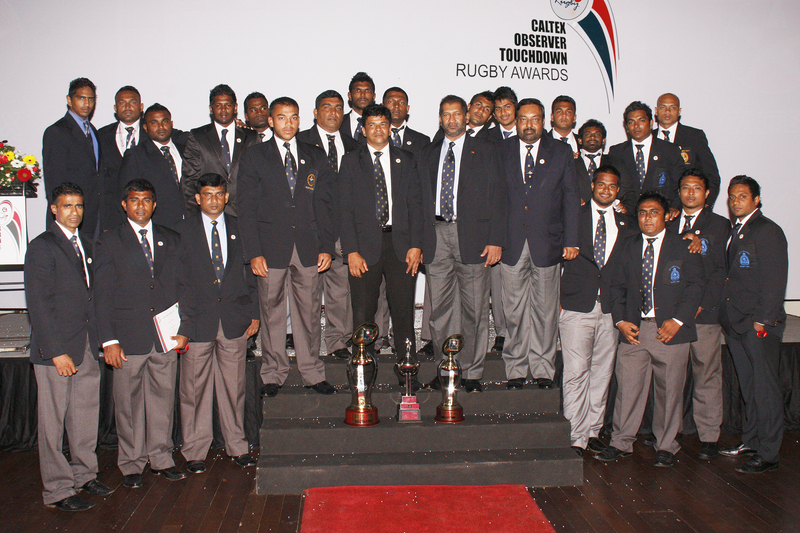 Stars of Rugby recognized at the Caltex Rugby Awards Night | Welcome to Chevron Lubricant Lanka PLC. The Rugby Stars of Season 2011 were awarded for spectacular performance, at the glittering 'A-Division Interclub' Rugby Awards night, held on the 8th of March 2012, at the Galle Face Hotel, Colombo. The Kandy team was presented the coveted award as the Most popular rugby club of the season , with CR&FCs Captain Dushan Lewke taking away the Most Popular Rugby Player of the Season Award, having received the most number of votes by fans during the competition. 10 other awards were also presented during the ceremony to teams and players who showcased a winning performance during the previous season. Outstanding Players Yoshitha Rajapaksa (Navy SC), Heshan Kalhara (Kandy), Sajith Saranga (Kandy SC), Anuruddha Wilwara (Havies) & Fazil Marija (Kandy SC) were amongst them.